♦ The Price Is For 1 Bundle Only. ♦ Please Select The "Texture" "Length" & "Quantity" To Shopping Cart. ♦ If Select "Texture Body Wave""Length 12" and "Quantity 2" Means You Are Going To Order Two Bundles 12inch Body Wave. 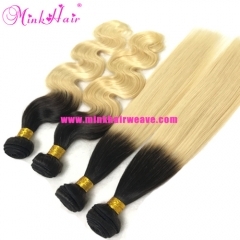 ♦ If You Need 3 Bundles Body Wave 12" 14" 16", Please Add Them To Shopping Cart One By One. ♦ Weft: Tight double weft, Long lasting more than 1-2 years with good care. ♦ Styling: For a full sew in we recommend 3-4 bundles. ♦ Remember: Longer the hair the short the weft. If you desire your hair to be full with lots of volume. We suggest you go with 4 bundles of hair. ♦ Shipment: FedEx, Orders will ship within 48hours. ♦ Deliver Time: USA, Canada 2-4 Business Days; Europe 3-4 Business Days; Africa 4-7 Business Days. Our aim is to help customers realize their goals. We are making great efforts to achieve this win-win situation and sincerely welcome you to join us! 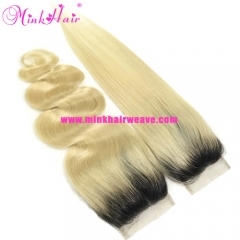 Mink Hair Two Tone Ombre Color Dark Roots 1B/..
Wholesale Mink Hair Product Ombre 1B/613 Blon..
Mink Hair Supplier 4*4 Lace Closure 1B/613 Tw..
Mink Hair Vendor 10A Grade 13*4 Lace Frontal ..